The Amason family have been actively involved in Obabikon since 1970. Jared and Erin Amason have been the owners and operators for the past 12 seasons. Our island resort, on the iconic Lake of the Woods, offers wonderful fishing with a personal touch. You can catch walleye, crappie, perch, muskie, smallmouth bass and northern pike, all within five minutes of the resort. No more long boat rides! After a great day of fishing come back to your own modern and cozy cabin, one of which was just built in 2016, and enjoy a relaxing evening with all the comforts of home. We offer full kitchens, bathrooms, satellite TV, wifi, lounge and decks to catch that view. We also offer bird hunting, hiking and canoeing. Yes, you can bring your pet! American Plan Lodge: Our resort is a full-service American Plan resort where all your needs are met and the meals are awesome. Walleye: Lake of the Woods is known for its numbers and trophy sizes of walleye. Bring your camera to take your trophy picture. Smallmouth Bass: This scrappy fish is plentiful on Lake of the Woods are a thrill to have on your line. 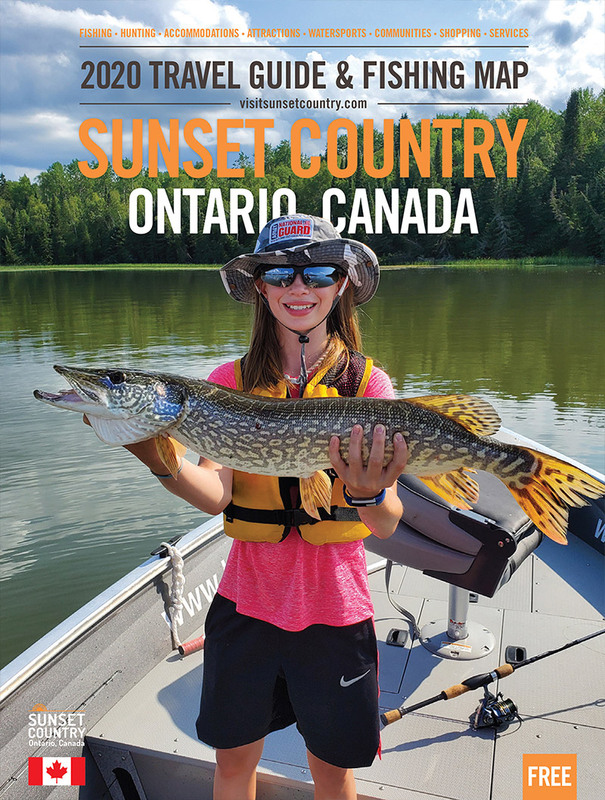 Northern Pike: Pike come in monster sizes in Northwestern Ontario. Come to Obabikon to try your hand at catching your trophy pike. Muskie: The great muskie is an angler's dream catch. Catching this aggressive monster is something you'll never forget. Birds: With its thousands of islands spanning 400,000 square miles, Lake of the Woods is an easy choice for fall foul hunting.